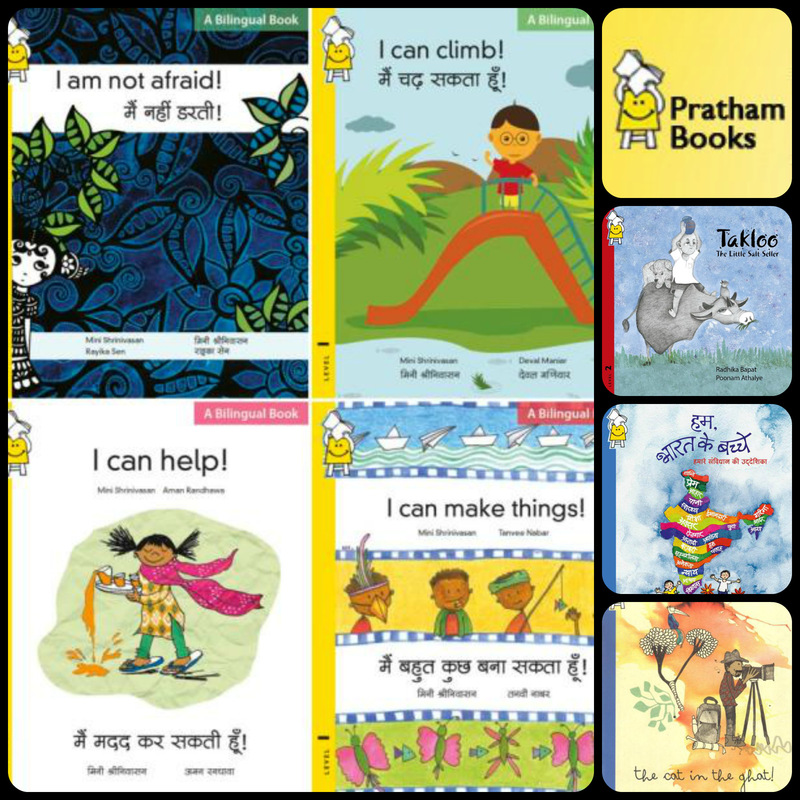 Pratham Books has created colourful learning resources that are handy, attractive and cost-effective. Can you guess what they are? Well, these are story cards! Story cards are attractive cards that have pictures, words or stories written on them and are usually used to develop children’s literacy skills. How are Story Cards different from Books? Story cards contain shorter stories or texts and can be conveniently carried in small bags or folders. They are cost effective and easy to handle so small kids could use them without the fear of damage or loss. Also, by reading shorter texts, children’s concentration levels do not drop and they can read stories at one go. Arrange story cards on a table in the centre of the classroom and ask students to pick one up as they enter. Casually ask each of your students why they picked up the card they did. This activity will start a ‘conversation chain’ where children will share their thoughts before the start of a lesson. Story cards can be used for a short period of time when students lose their concentration. As story cards have shorter texts, you could use them promptly for getting your students’ attention back. Distribute story cards to the distracted children and ask them to read out the stories by setting a time limit. Once the time is up, collect the story cards and resume your lesson. Many teachers have tried out this activity and have been successful in helping students re-focus. Smaller children can be encouraged to read and retell stories with the help of story cards. This will develop good reading habits and sequencing skills. Furthermore, this activity will help other students in the class understand the story better and who knows? They may want to read the stories themselves! To help children imagine and tell stories on their own, start making sets of story cards for three different categories: characters, event, and action. For example in the ‘characters’ group, proper nouns such as Ram, Prashant, Priya, Nina and a host of other names could be used. In the events category, birthday party, picnic, drawing competition, sports day and other interesting happenings can be mentioned. Finally, in the ‘action’ pile write down verbs such as dance, sing, leap, fall down, run, skipped or any other action words children are familiar with. The cards could then be shuffled and distributed to students and each one has to start telling a story (one sentence) by using the word written on his or her card. The others have to continue doing the same one after the other. This activity will help children become better listeners and confident storytellers. Sit down with a group of students and tell them a story. Request one of them to change the ending of the story. Once the child feels confident of doing this exercise, help her create interesting stories on her own. Retell your story by writing down key sentences on the board. Distribute blank cards to all your students and ask them to copy down the sentences from the board. Once the writing exercise is done, students could begin drawing to illustrate the sentences they wrote. If children are too small and have not yet learned how to write, they could just draw and create wordless story cards. That would be interesting, don’t you think? Story cards can be used in a variety of ways to stimulate, motivate, guide and encourage children to read, speak and write better. It is however a little disappointing to find that teachers rarely use this low-cost resource to improve literacy skills of their students. I hope by reading this article, more teachers will begin using story cards in their classrooms to make learning joyful, engaging and fun! Storytelling is a interesting method for children..